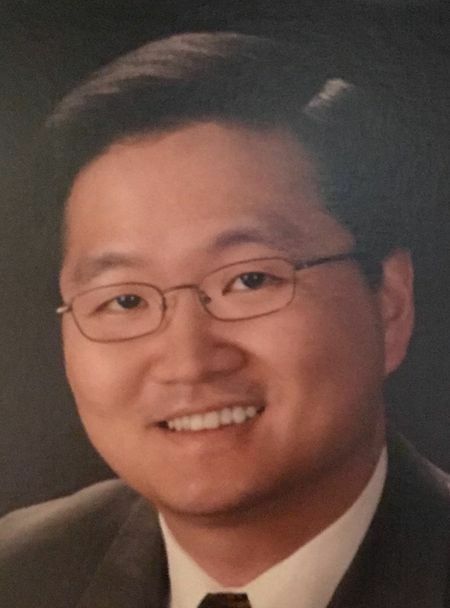 Dr. “Jonathan” Minyong Pak was born in Seoul, Korea and came to America as a 5 year old child in 1974. He was raised and educated in Southern California. He graduated from La Salle High School in Pasadena, CA. It’s a Christian Brothers preparatory school that is actively involved in fostering leadership, and encouraging civic involvement in the community. He was involved in campus ministry, while attending the school, and participated in community events such as the Tournament of Roses and Boy’s State. Jonathan received his bachelor of science in Biological Sciences from UC Irvine. While attending there in his junior year, he decided to pursue a dental career, after volunteering at the “SOS” (Share Our Selves) Dental clinic in Costa Mesa. He received his doctorate of dental surgery from UCLA School of Dentistry in 1996. Jonathan went through extensive training in esthetic dentistry while there. He still enjoys designing and crafting a beautiful smile to this day. Jonathan is licensed to practice in AZ, NV, and CA. He’s been a member of the American Dental Association since graduation. He’s had dental offices over the years in San Francisco, Reno and Las Vegas. Dr. Pak is certified to provide “Invisalign” treatment, laser treatments, and is trained to place implants. Jonathan lives in Clark County, NV with his wife and 4 chihuahuas. He and his beautiful bride love to travel. Their favorite spot on earth is Lahaina, HI. Mahalo. Everyone is very friendly. The rates are terrific. I had my teeth cleaned. Tiffany did an excellent job. She is very knowledgeable and explains everything. I highly recommend Affordable Dental. 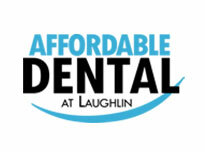 Affordable Dental is friendly and efficient and their costs are a bit lower than other offices in the area. But, most importantly, they do excellent work. I had 2 crowns, 1 filling replaced, a periodontal cleaning and a regular clean since I've been going to them and their work is so good that I would not consider going to anyone else. Thank you so much for such great services . Dr Chin is excellent. I didn't feel any pain when he did my extractions. Her dental assistant Lupita helped me through the all process and made me feel comfortable. Truly the best, they are really affordable! Always have a good experience here. Hygienist Brittany is super nice. The office manager Rose knows her job, is always thorough and clear about my account and also really nice as all the staff there are. Rose, Chae and Brittney are amazing. I feel so well taken care of every time I have an appointment. Thank you affordable dental for always making my dental experience a great one! Everyone in the office is very friendly from Shannon & Rose when you walk in to the Doctor himself. I was surprised when the Doctor called to introduce himself before my first appointment. I had never experienced that before and it was nice. Dr Pak and the staff seem genuinely concerned about their patients. We have been seeing Dr. Pak for 5 years. He is caring and explains the procedures so we know what to expect. The staff are friendly and helpful. We are happy to have them in Laughlin. Excellent service, the staff is very friendly and efficient. I really like the fact that they offer Saturday appointments to accommodate children that go to school. The treatments are as their name states “affordable” the staff does a good job explaining treatment options and prices.